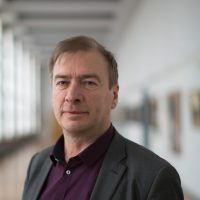 Dirk Rochtus is an associated professor of International Politics and German History at the KU Leuven/Campus Antwerpen and a senior fellow at the Zentrum für Europäische Integrationsforschung (www.zei.de) of the Rheinische Friedrich-Wilhelms-Universität Bonn. He is former vice-chief of Cabinet of the Flemish Minister of Foreign Affairs (2005-2007). In 2007 he was awarded the 'Bundesverdienstkreuz' (Federal Cross of Merit) of the Federal Republic of Germany.